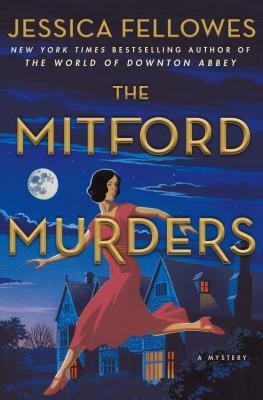 Taking as a starting point a real murder in 1920s England, and using the Mitford family—famous (and infamous) aristocrats and public figures—Fellowes crafts a satisfying mystery. Fans of Agatha Christie and Downton Abbey will enjoy this one. "A real murder, a real family and a brand new crime fiction heroine are woven together to make a fascinating, and highly enjoyable, read. I loved it." The first in a series of thrilling Golden Age-style mysteries, set among the Mitford sisters, and based on a real unsolved murder, by Jessica Fellowes, author of the New York Times bestselling Downton Abbey books. It's 1920, and Louisa Cannon dreams of escaping her life of poverty in London. Louisa's salvation is a position within the Mitford household at Asthall Manor, in the Oxfordshire countryside. There she will become nursemaid, chaperone and confidante to the Mitford sisters, especially sixteen-year-old Nancy, an acerbic, bright young woman in love with stories. Based on an unsolved crime and written by Jessica Fellowes, author of the New York Times bestselling Downton Abbey companion books, The Mitford Murders is the perfect new obsession for fans of classic murder mysteries. "Oh how delicious! This terrific start to what promises to be a must-read series is exactly what we all need in these gloomy times. Inventive, glittering, clever, ingenious. I devoured The Mitford Murders... so will you."